Music has always been a huge part of the Smith’s history. Orchestras and bands from all over came and played at the Smith. Before 1930, some of the biggest names in early 20th century American music made the Smith a stop. In 1897, Victor Herbert, one of the early 20th century’s most notable American composers came to the Smith with his 22nd Regiment Band. A Geneva Daily Times article from November 16, 1897, the day after the concert, explained that, though the theatre was barely half full, what the audience “lacked in size, it made up in enthusiasm” (“Herbert’s Band”). The author of the article does point out, however, that Herbert’s music choice seemed to leave something to be desired. “It is only fair to say,” the article states, “that, from a popular viewpoint, Victor Herbert’s selections for his band are unfortunate; […] they lack that very necessary thing, vim” (“Herbert’s Band”). Luckily for Geneva, about four months later, a conductor and band with vim to spare dropped by the Smith on an American tour: The “March King,” himself, John Philip Sousa and his own band. Sousa was also a prolific composer, especially of marches, which earned him his nickname. Sousa’s band played to a full house when they came to Geneva in March of 1898. In a Geneva Daily Times article dated March 4, 1898, the author writes, “All of the members are inspired by the enthusiasm of their noted leader, who wields the baton with grace and ease, at the same time keeping in perfect control the large aggregation of instrumentalists” (“Sousa’s Concert”). In true Sousa fashion, the program listed nine pieces, but in between each Sousa played up to two encores—usually one of his more popular marches (Rhodes). A Geneva Daily Times article from March 5, 1898 says marches included “The Liberty Bell,” “Manhattan Beach,” and his “new march” (“Sousa and His Band”) “The Bride Elect.” They were played “as only the band of the “March King” can play them” (“Sousa and His Band”). Though articles on both concerts (“Herbert’s Band”, “Sousa’s Concert”) comment on the desire for the bands to return, as far as we know, Herbert never did. However, one of Herbert’s operettas, Naughty Marietta, was a part of the Smith’s 1911 season. Herbert would go on to direct the Philadelphia Symphony Orchestra and then create his own orchestra in 1904. Before his death in 1924, he composed over 130 works ranging from operas to violin and choral compositions. Sousa and his band returned twice—once in 1919 and once in 1925 (McNally 27), presumably to similar crowds and praise. By his own death in 1932, Sousa had composed well over 100 pieces, and a total of 137 marches. “Herbert’s Band.” Geneva Daily Times, 16 Nov. 1897, p. 4. Herbert, Victor 1906. Image. Owned by Library of Congress. Found, Britannica Academic: Victor Herbert, 9 April 2018, http://academic.eb.com/levels/collegiate/assembly/view/11553. Accessed 5 July 2018. 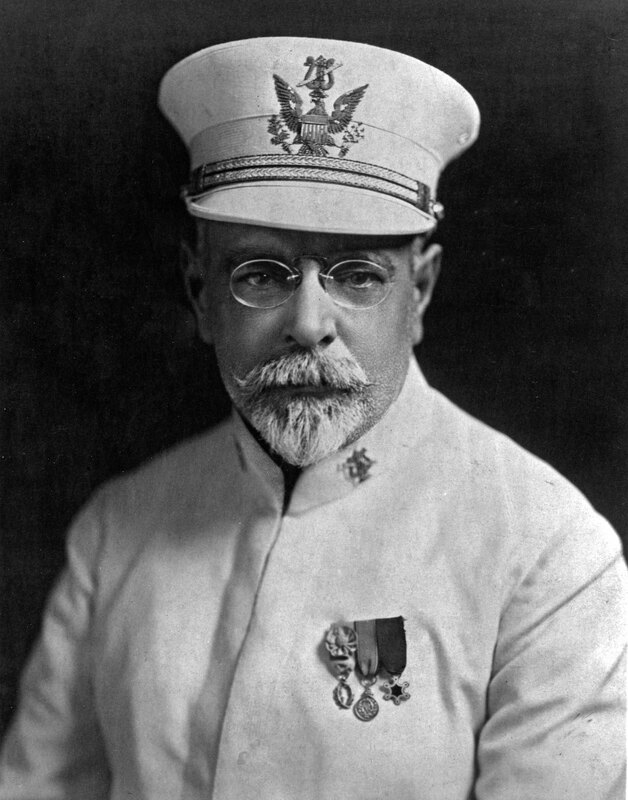 “John Philip Sousa.” Britannica Academic, Encyclopedia Britannica, 30 Jan. 2018. https://academic.eb.com/levels/collegiate/article/John-Philip-Sousa/68818. Accessed 5 July 2018. Rhodes, Dr. Stephen L. A History of the Wind Band. Lipscomb University, 2007, https://www.lipscomb.edu/windbandhistory/index.htm. Accessed 5 July 2018. Sousa, John Philip. Image. Britannica Academic, Encyclopedia Britannica, 9 April 2018, http://academic.eb.com/levels/collegiate/assembly/view/157693. Accessed 5 July 2018. “Sousa and His Band.” Geneva Daily Times, 5 March 1898, p. 4. “Sousa’s Concert.” Geneva Daily Times, 4 March 1898, p. 1. 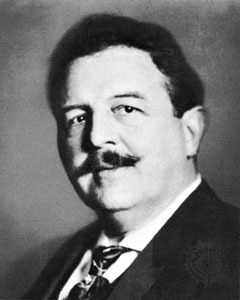 “Victor Herbert.” Britannica Academic, Encyclopedia Britannica, 9 April 2018. https://academic.eb.com/levels/collegiate/article/Victor-Herbert/40109. Accessed 5 July 2018.